The story is about Jess who is a natural born runner. When she’s chosen for the city track team, she tests the waters with her two best friends, Jill and Jen who assure her that she has what it takes. Unfortunately, her mother doesn’t share her excitement, nor does she understand Jess’ interest in track and field , especially with Jess’ older sister about to win a scholarship to a prestigious music school! When her mom signs Jess up for an art class that conflicts with track practise, Jess loses it. She loves her mom, but she is determined to be an athlete. Of course it doesn’t hurt that Brendan is a javelin thrower on the same track team, but Jess won’t let even him distract her from her goal to be the best. Her mother’s sudden cancer diagnosis changes everything. Anger, denial, bargaining and isolation fuel Jess’s track season as she runs her way to the provinicals. But will her mother even be around to watch her win? 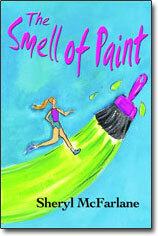 The Smell of Paint was short-listed for the 2008 Saskatchewan’s Readers’ ChoiceWillow Award. 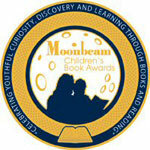 The Smell of Paint is the gold medal winner of the Moonbeam Award in the Young Adult category. 2007 Victoria Butler Book Prize nominee. My daughters Cloe and Katie were partly the inspiration for the main character of The Smell of Paint . This is a quote from one of the all time great US track athletes that inspires Jess, the main character in The Smell of Paint .